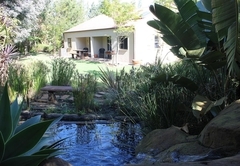 Rusticana Hospitality Estate is a property providing self catering in Klapmuts for tourists visiting the Cape Winelands region. Rusticana, which means 'peaceful Canaan', invites guests to relax in a tranquil environment. 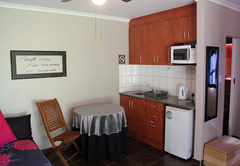 The self catering accommodation is ideally situated to explore the Boland and other attractions in the area. 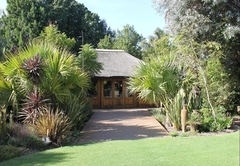 Accommodation is offered in eight chalets which are all located close to the swimming pool and garden. 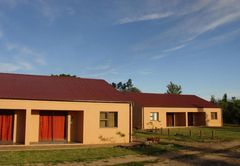 Each unit sleeps up to four guests and comprises of a double bed, a double sleeper couch and an en-suite bathroom with a shower. The chalets each have a fridge and microwave. Cookware and a stove will be provided upon request. 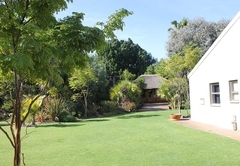 Beautiful gardens surround the chalets and guests can park directly in front of their room. 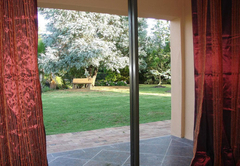 The premises are safe and peaceful with a security fence and access controlled gates. 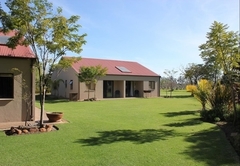 Guests have access to a swimming pool and braai facilities. 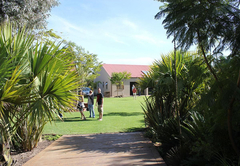 Rusticana is the ideal location for visitors to explore wine routes, beauty spas or the historic towns of Stellenbosch and Franschhoek. 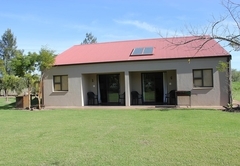 Accommodation is offered in 8 self catering chalets situated near the swimming pool in the garden, serving as accommodation for functions or a peaceful getaway spot of their own. Response timeRusticana Hospitality Estate typically responds to requests in 5-10 minutes.